I have to say I have failed extremely hard with the writing challenge because life gets in the way and you just can't find a moment to write. I hope you are not very mad about me. I promise to write some of the interesting topics as a simple blog post. So back to my everyday blogging. Yesterday I bought lip lacquer for the second time and to be honest I really start to love these little cuties. 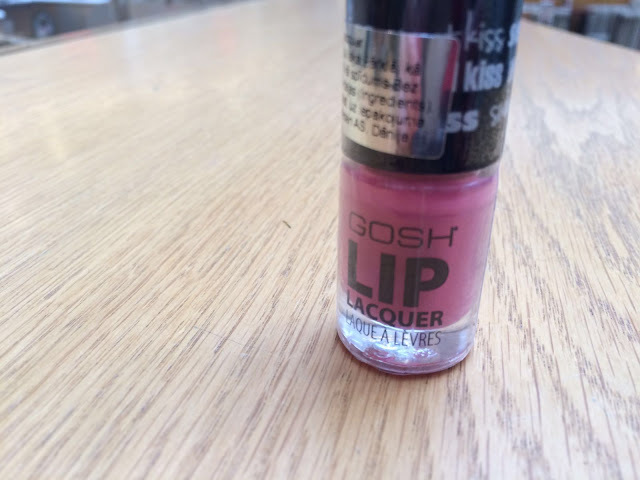 This time, it's from GOSH and honestly, I don't know a lot about this company so I did a little research . 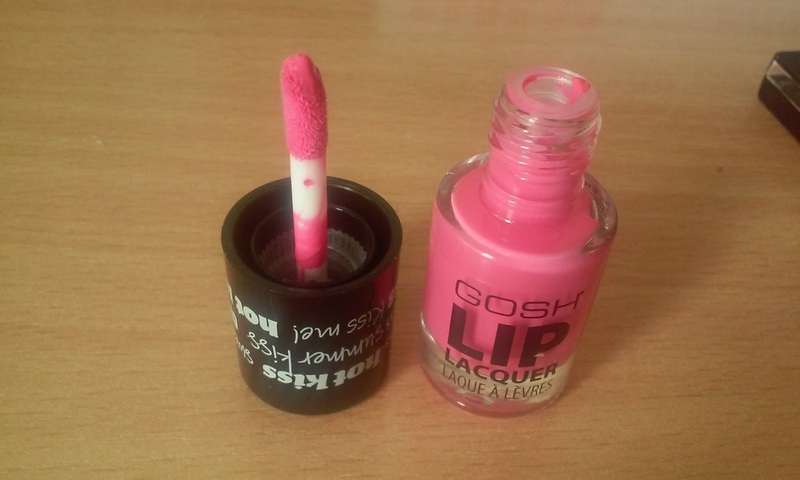 GOSH cosmetics is a Denmark-based hip and trendy cosmetics company. The backbone of GOSH is a colour cosmetics line that offers a vast array of colours to keep up with latest trends and fashions. GOSH cosmetics brings iridescent effects makeup with shine, shimmer,and dazzle, brightly coloured mascaras and liquid eyeliners,pencils and nail enamels with the subtle sensuality of glitter,and a complete assortment of waterproof or semi-permanent makeup. I'm absolutely in love with these small bottles you can easily throw in your bag and carry around. no matter where you go. Alo they smell like a watermelon and it just makes me want summer even more. They have seven different tones, I have 005 Crispy lips. I love the feeling after you apply this to your lips. They don't feel heavy or sticky. The colour is rich and stays long. I definitely suggest these to you all and I'm going to buy another one today haha.